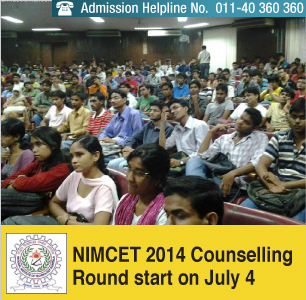 NIMCET 2014 Counselling - Second round of NIMCET 2014 Counselling has started on July, 2014 to offer admission to fresh allottees as well as candidates allotted seat in earlier round and opted the “Option-2” for fulltime three years MCA course across 11 participating NITs. The exam conducting body National Institute of Technology (NIT), Agartala has notified that fresh allottees are required to report in person on July 7 or July 8, 2014 at their respective reporting center to obtain provisional admission letter along with documents. Further, it added that fresh allottees not reporting at reporting center will lose their seat allotment automatically and will not be considered for subsequent rounds of seat allotment. 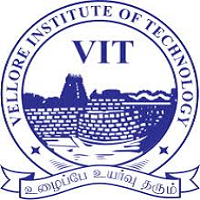 Candidates have to carry the following certificates (both original and two sets of Xerox copies) for document verification process at the time of remote reporting. SSC or X Class (High School) and Intermediate Certificate as proof of date of birth. Qualifying Degree Marks Statements from I semester/year to the recent semester/year. Sheets showing (hand-written or type-written on A4 papers by the candidate) marks secured in and maximum marks of each and every subject studied during his/her qualifying degree. Certificate of Category (OBC/SC/ST Caste Certificate), if applicable, issued by competent authority. 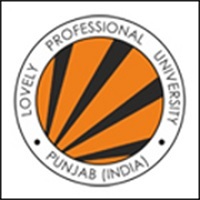 PwD certificate in case of sub-category is PwD i.e. Person with Disabilities. Non fresh allottees, who do not wish to change their earlier option, are not required to report at reporting center. However, allotees whose seats are upgraded are required to be present at reporting center if they choose to modify their option of preferred NIT.